Bringing Retail & Luxury to the Hilltop. Will Mass Customization Work for Fashion? Burberry now offers customers the option to customize their scarves with their initials. With increased access to online retail channels, we’ve seen a rise in bespoke offerings from top brands. Classic examples include NikeiD custom sneakers and Louis Vuitton Mon Monogram handbags and leather goods. In an age where consumers have more access to brands and evermore knowledge on what they want from a brand, it would suggest that the market for custom goods would be well and thriving. However, with risk of monstrous overhead costs such as the need for excess inventory and the possibility of overwhelming the consumer with choices, the should-be flourishing “bespoke” category of luxury has all but flopped. 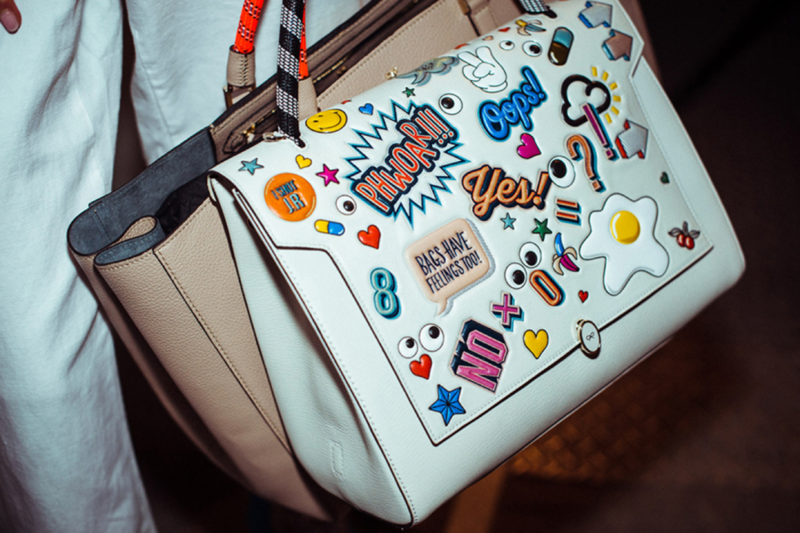 Anya Hindmarch specializes in handbag stickers that allows you to customize your handbags in any way. According to Kate Abnett for the Business of Fashion blog, companies must strike a delicate balance in their pursuit of personal. Luxury firms must offer a tailored, self-created process within the operational abilities of the brand that seemingly lets the customer have it all while subtly limits custom offerings to a select range. Furthermore, individual touches and additions should be isolated in the category of fast-moving personal accessories such as scarves, handbags, and jewelry pieces: items that are likely to retail at full market value and historically cater to personal flair. Endeavors such as the Burberry Scarf Bar, mentioned in the article, perfectly exemplify this balance. Allowing Burberry customers to add small touches of personalization on highly-liquid inventory pieces caters to the brand’s experience-driven, individualistic followers while minimizing the impact of increased manufacture costs with increased product margins. celebrities such as Rosie Huntington-Whiteley, Sarah Jessica Parker, and Olivia Palermo are embracing the new trend with their custom Burberry shawls. With more luxury and premium brands touting personalization services, it will be interesting to watch the many approaches’ inevitably varied successes (and subsequently, shortcomings). Even more interesting will be changing consumer attitudes to bespoke additions: are custom decorations here to stay, or are they simply a mutant form of the turn-of-the-century logo craze, reborn? Regardless, this trend in luxury brands will absolutely be a space to watch in the coming future.